In order to get eggs in ChefVille you must first unlock The Homestead. However you must unlock 2 nearby areas before you will be able to unlock The Homestead. #1. 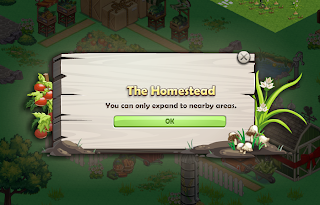 Unlock Greens Market, Unlock Unexplored Land With Orange Trees and then Unlock The Homestead. #2. Unlock Greens Market, Unlock Romance Pond and then Unlock The Homestead. #3. Unlock Hot Spot, Unlock Romance Pond and then Unlock The Homestead. Note: You can only Unlock areas that are next to your property.You will need coins, Mastery Stars and Recommendations to unlock these properties. 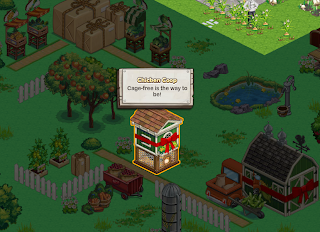 Once you unlock The Homestead, eggs can be collected from the Chicken Coop. If you have another way of getting eggs in ChefVille please comment below. Thanks for reading! When you go neighbors restaurant click on one of their prepared items if it shows eggs you will sometimes get them.